Today I’m having an indulgent lunch at Nordic Bakery in Covent Garden. Being back in my favourite part of London always makes me smile. 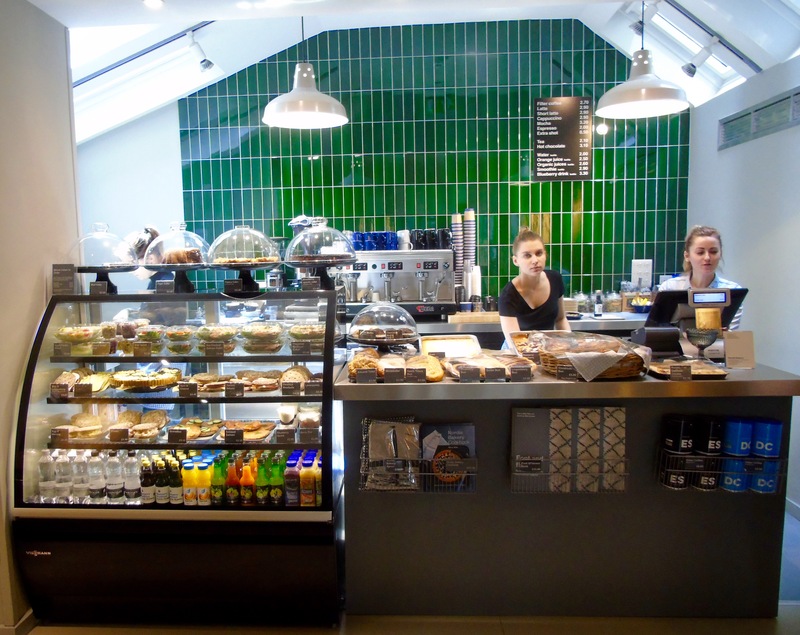 This is one of four establishments in London that sells a fabulous range of Nordic baked goods, like cinnamon buns, rye bread and cakes…and more. They describe themselves as a beautiful Scandinavian cafe and peaceful meeting place in a frantic city. There are certainly many Scandinavian touches about the place (like the wood-clad walls) which exudes a sense of coolness and calm. I’m loving the Scandi vibe that’s popping up around London. This would certainly be the perfect place to visit in the middle of this amazing heatwave London’s having. Service is welcoming and friendly and then you’ll discover all manner of deliciousness to choose from. 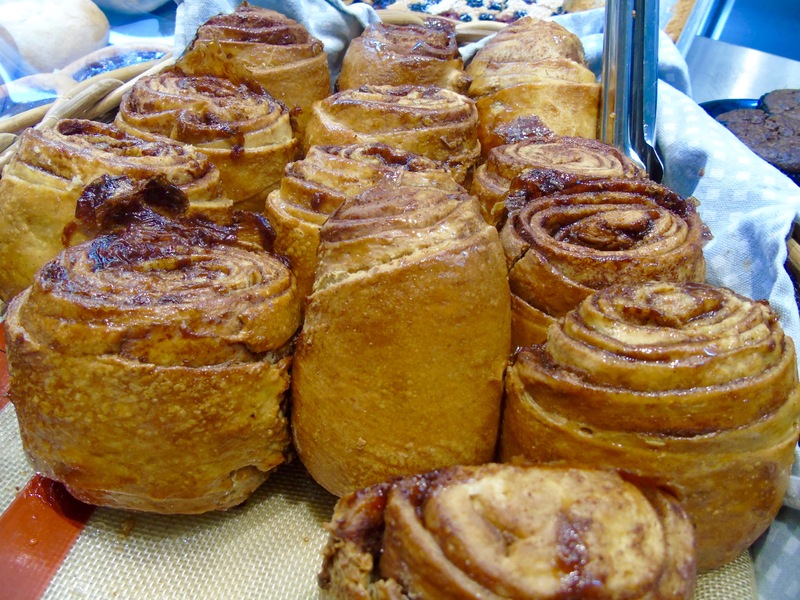 Cinnamon buns are a quintessential Scandinavian treat and these are among the best I’ve ever seen or tasted. They are made fresh on the premises throughout the day. Just looking at this picture makes my mouth water. As I was there around lunchtime I simply had to try some of the savoury delicacies. Like these open sandwiches. Gravadlax and cucumber or smoked salmon on traditional rye bread. 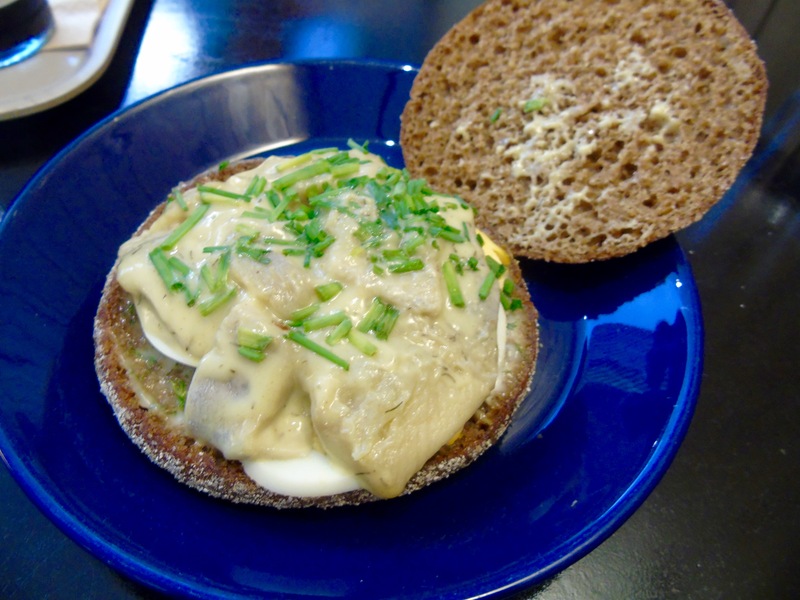 One of my favourite Nordic ingredients is herring. They have so many ways of preparing this wonderful fish – one I simply do not eat enough of. 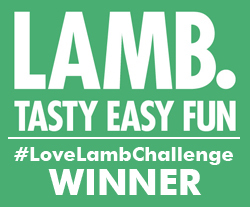 Here it is in a mild curry sauce served with hard boiled egg on that rye bread again. Such a great combination. 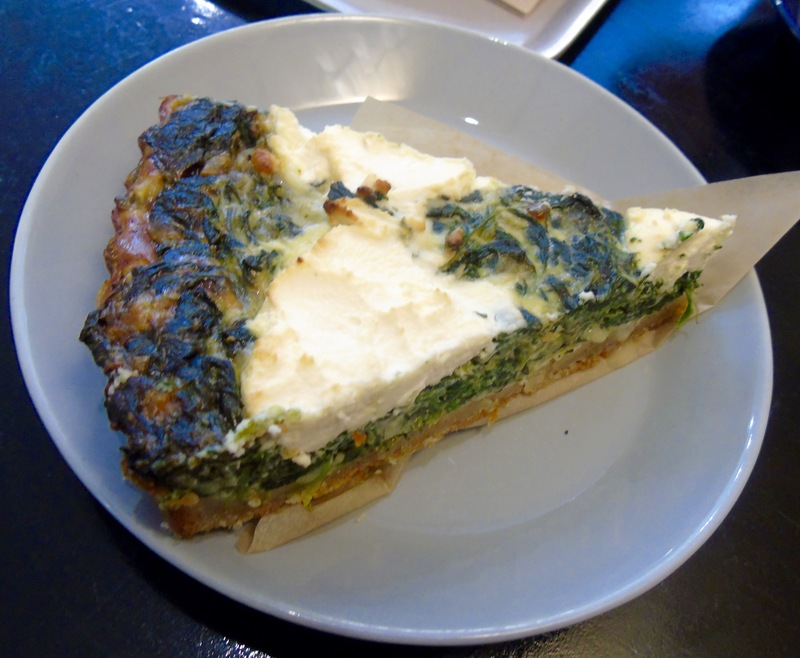 The spinach and feta quiche was light and tasty with its melt-in-the-mouth pastry. 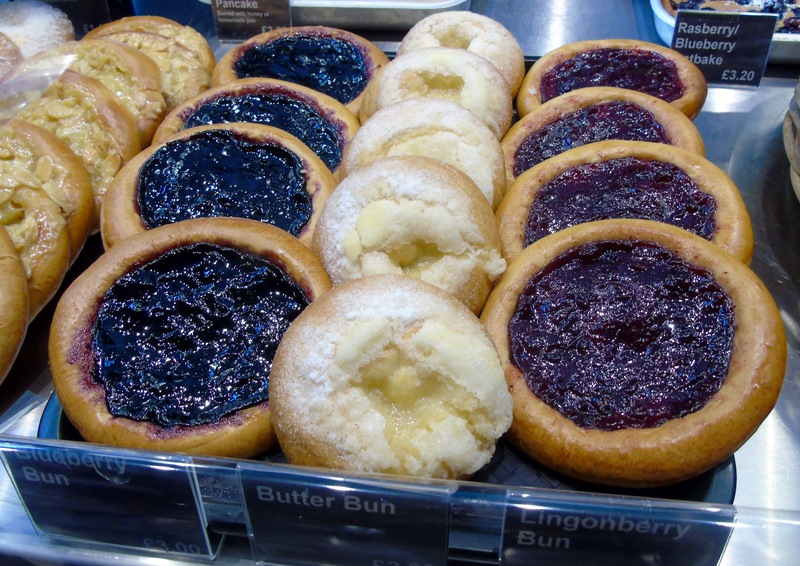 Berries are a big part of Nordic cuisine – blueberries and lingonberries are perfect in these tasty buns. 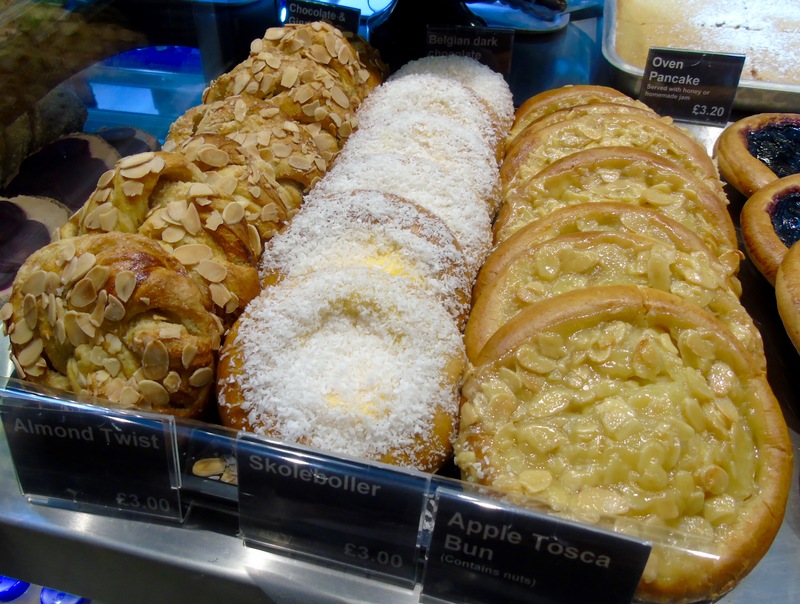 Or how about pastries with an apple, almond or custard filling. See what I mean, there’s a lot of choices going on here. And here’s a sweet surprise. It’s called an oven pancake and is cooked in a baking tray. 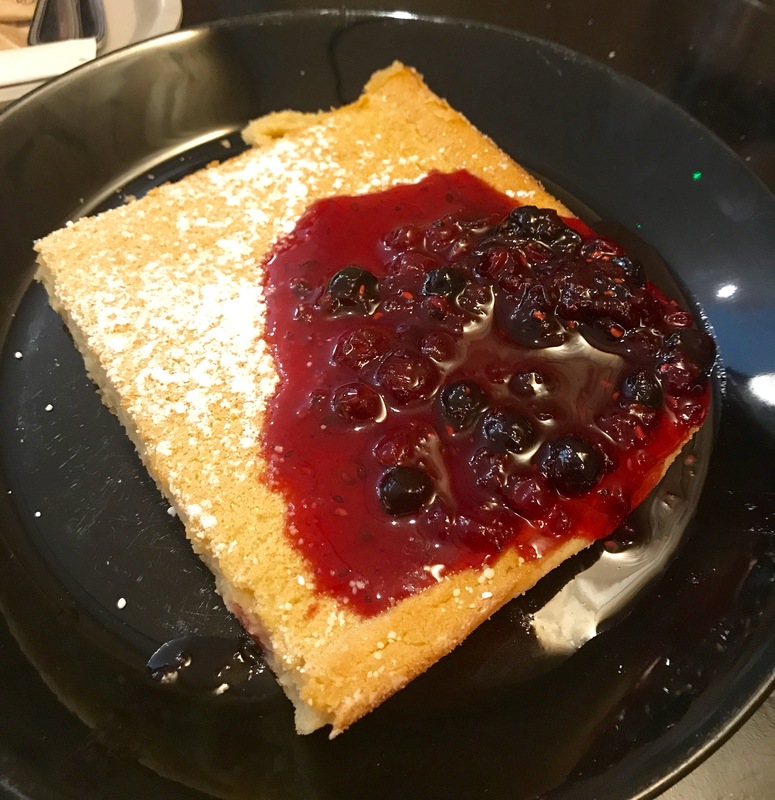 And although it doesn’t look like it, it certainly tastes like a pancake and was wonderful with their home-made berry jam. What a great idea – fuss-free pre-prepared pancakes without the stress. I’m going to be making these at home, that’s for sure. The great news is that even if you don’t live in London or can’t get to Covent Garden, there’s a fabulous recipe book. 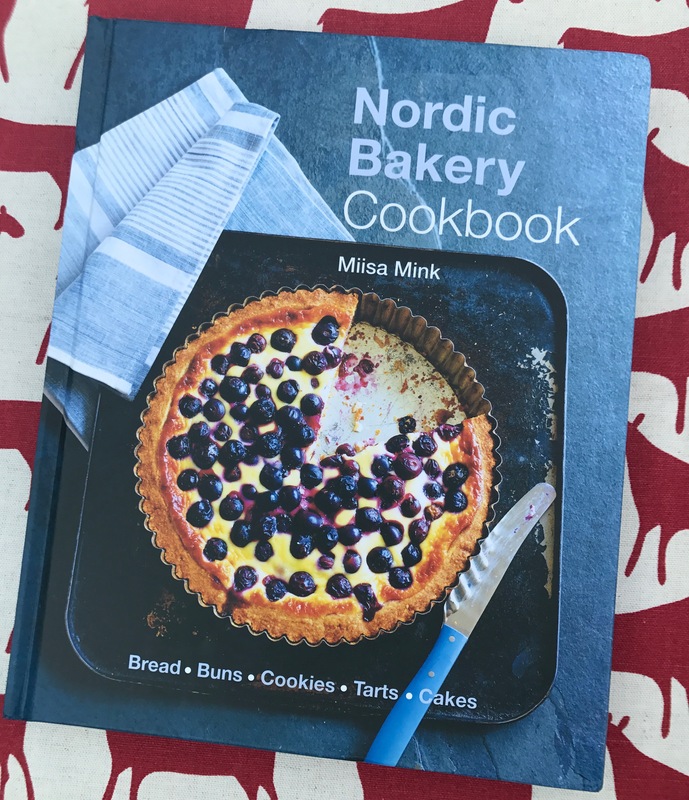 So you can get baking at home and fill your home with Scandinavian delights. Now doesn’t that sound good? Nordic Bakery is at 55 Neal Street, Seven Dials, Covent Garden, London.